India and Iran have just completed a round of negotiations which saw the two countries boost their economic ties despite Washington’s pressure on Tehran. Iranian President Hassan Rouhani was in New Delhi this weekend to meet with Indian Prime Minister Narendra Modi to sign nine new trade agreements. “We are ready to sign bilateral and trilateral agreements to turn the transit route passing through Chabahar into a strategic pathway serving the reinforcement of regional ties,” Modi said of the deal. “We want to expand connectivity, cooperation in the energy sector and the centuries-old bilateral relationship,” he added. Iran is India’s second largest supplier of crude oil. 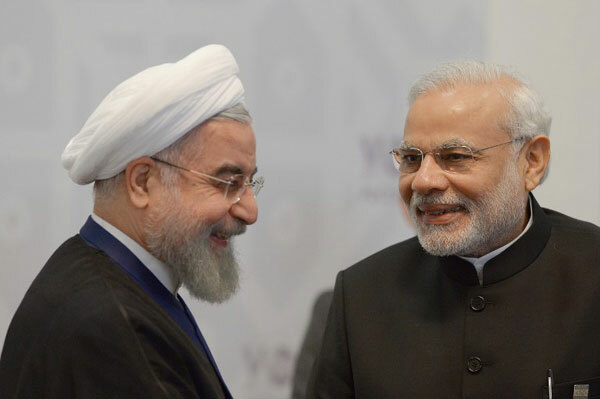 Rouhani says that that Iran and India have “very good cooperation” in the two sectors of “transit and energy”. Tehran has always maintained that New Delhi is “strategic partner and cannot forget the support India extended to Iran during its difficult times”. “Indian companies are ready to further their investment in the areas of mutual cooperation, including oil and gas,” Modi said.